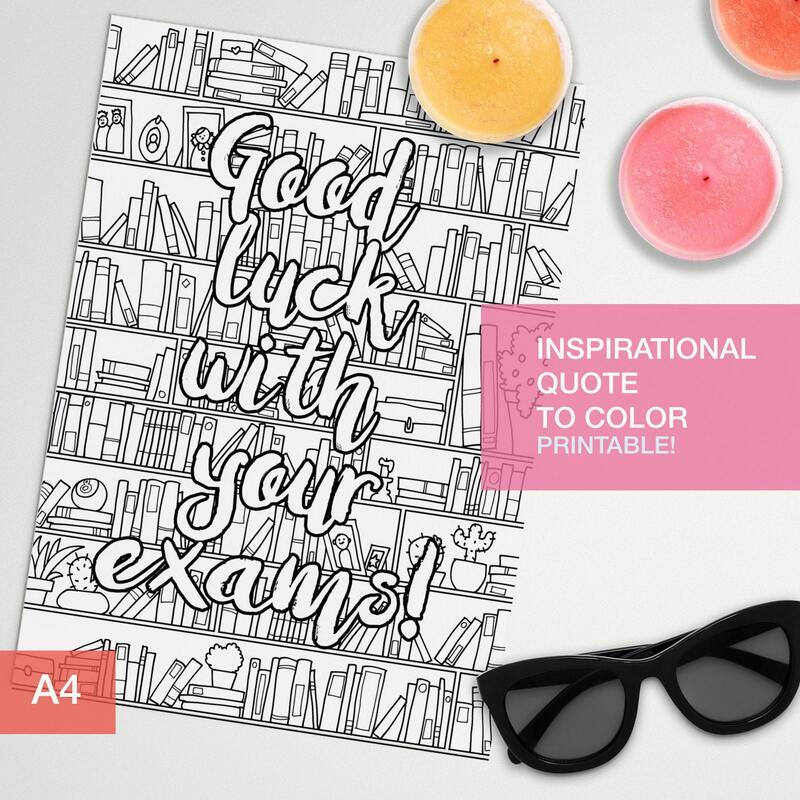 Adult color book inspirational coloring quote "Good luck with your exams!". Make your own inspirational art! !